Katharina Thalmann is an assistant professor in American Studies and Ph.D. candidate at the University of Tübingen, Germany. Her dissertation project “‘A Plot to Make Us Look Foolish:’ The Marginalization of Conspiracy Theory” traces the shift in the status of conspiracy theory from legitimate to illegitimate knowledge in the Cold War era. 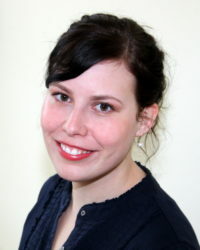 Parts of her research have been published in the article “‘John Birch Blues:’ The Problematization of Conspiracy Theory in the Early Cold-War Era.” Ms. Thalmann has previously worked as a research fellow at the collaborative research center “Heroes – Heroisations – Heroisms” at the University of Freiburg and has worked as an editor, translator, and ESL teacher in Germany and the U.S. She holds an M.A. in British and North American Cultural Studies (University of Freiburg) and a B.A. in Language, Culture, and Translation (University of Mainz).